How to come up with a perfect DIY dressing room? Isn’t your dressing room an ultimate luxury? The dressing room in your house also offers a myriad of other practical advantages starting from providing extra bedroom storage to de-clutter your bedroom to having a particular place to get ready while you move out from the house. Moreover, with the dressing room offering a separate place to store your clothes, there can be a cleaner and healthier ambience in your bedroom. Howbeit, if there is not any different dressing room in your apartment, you can make one for yourself with some smart DIY dressing room ideas. Yes! A DIY dressing room. Sounds interesting? Well, it can be a pretty simple process. All that you need to do is just give your home a new look by reusing old stuff and that’s it! Here’s how you can come up with a DIY dressing room. Read on. You must start with assessing the dressing room storage needs and your preferences as well. Do you prefer hanging or folding your garments? Do you prefer rail or shelf space or drawer? How do you like your makeup storage and jewellery storage? etc. Once you have clear answers for all these questions in your mind, start with deciding the type of storage units you need. It is one of the best organizing tips for home remodeling that you can ever think of. For your information, shelves could be pretty better than drawers when it comes to jeans and dresses. You can use dividers and separate compartments for keeping your clothes neat and tidy. 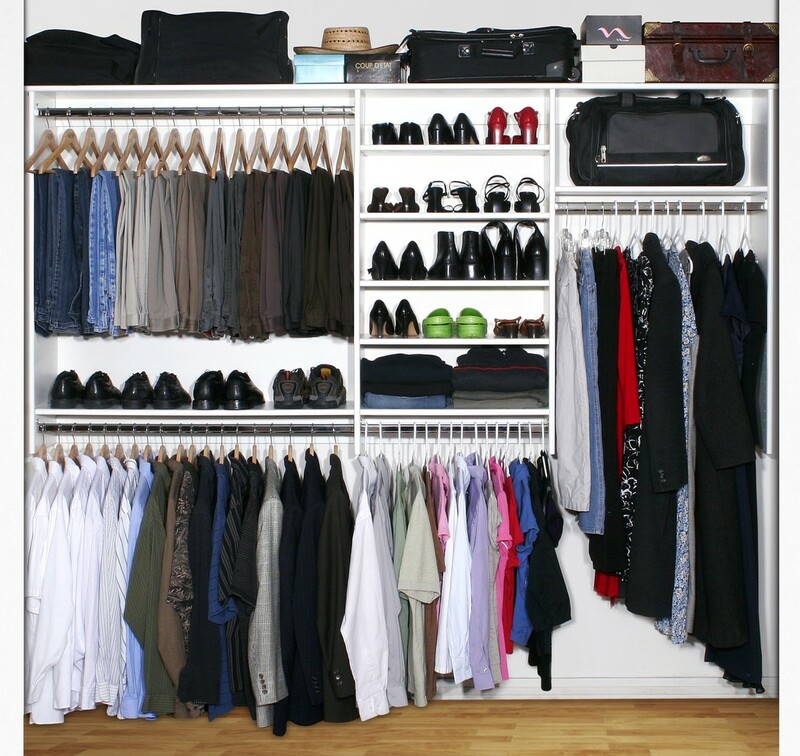 Also, hanging space is a must but always make sure that you’ve enough room for full-length garments. If you only want to hang some trousers and skirts then it is always a smart organizing tip to include shorter hangings in your DIY closet. It can altogether double up your clothes storage. This is how you can create a perfect DIY closet to start organizing your DIY dressing room now. To create a DIY dressing room is certainly not rocket science but it needs pretty much creativity to make the most out of it. 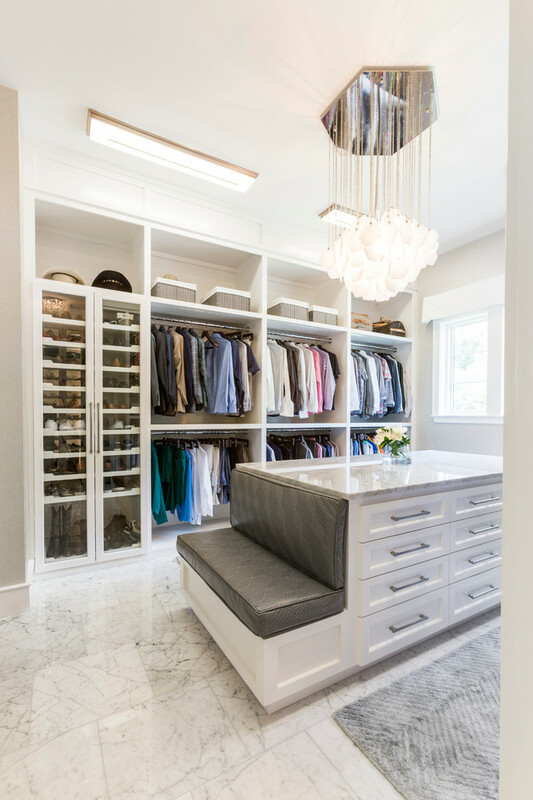 Here, the dressing room design ideas from amazing platforms like Pinterest, Houzz and various other online magazines can prove to be extremely beneficial for you. You can begin with a mood board while creating your DIY dressing room to visualize how all the design elements that you are considering should come together. When it comes to dressing room design ideas, a place to sit for doing the makeup or trying on the shoes is very crucial. You can add a great element of grandeur to your DIY dressing room by adding an ottoman which has a concealed storage with it. This dressing room design idea can be taken up to the next level while putting the same ottoman under the window or just at the centre of the dressing room. Home remodeling is innovative and adding fit mirrored doors to make the dressing room look huge is one such excellent DIY dressing room idea. Especially, if you are cramming a tiny space with storage then you should make it feel open. Include wardrobes which reach all the way to the ceiling and thus, it can maximize the storage area incredibly. If you are not interested to incorporate mirrored wardrobes in your dressing room, it is a must to add a freestanding mirror. Moreover, the floor-to-floor ceiling designs can really make your dressing room look ‘wow’. DIY dressing room ideas can never end without mentioning the rightmost lighting scheme. Lighting is definitely the key factor when it comes to your dressing room. You need to think your lighting scheme practically to ensure that you are making the most of the dressing room. If it is possible, locate your dressing table in such a way that it lies just in front of a natural light source. If you think that it’s not possible then it could be a smart trick to add some spotlight. You should aim to add at least five sources of light for not only including the right visibility but also to create a perfect atmosphere which has the right spotlight accents. Last but not least, don’t forget to add the sockets in your dressing room. Without that, your dressing room can never be a perfect one and you have to, unfortunately, stand on the other side of the room to get your hair dried! This is how you can create your dream DIY dressing room. Also, some more extraordinary things that you can do to make your dressing room a perfect one are adding some gold accents, artwork, furniture of your taste and so on. All these effective and proven DIY ideas put together and you will have the most stunning dressing room that you could ever imagine ! Being a full-time content writer, Lyuthar holds a passion for writing blogs on various niche Fashion, Home Decor, Lifestyle, and Money Saving. He loves to share his knowledge and experience with his friends and colleagues.